When your book has been formatted into the recipe style (formats) you selected, the billing and correspondence person will receive an email notifying them that a proof copy of the book is available on our website for review, if this option is selected on the cookbook order form. 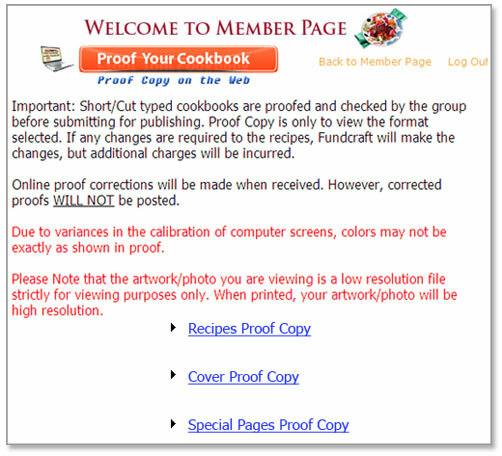 *NOTE, login to Fundcraft.com, then click "proof your cookbook." 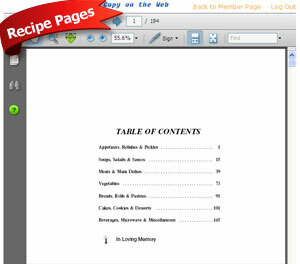 You'll be able to proof your Recipes, Cover and Special Pages. 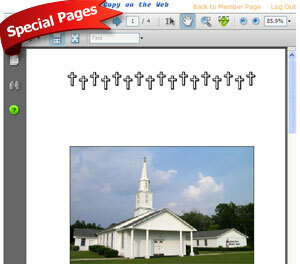 The chairperson can print the pages, mark any needed corrections and return the pages by email or fax. *If the ShortCut™ program was used and recipe corrections are needed, the ShortCut™ discount will be deleted. 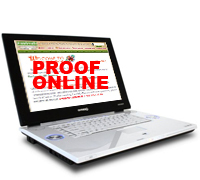 Each proof will be posted for 5 days (not business days). If we do not receive a reply at the end of the 5 days, the book will be placed on hold until we receive a reply. *NOTE, additional cover or recipe proofs available upon request for an additional charge. Additional proofs will effect the production schedule. 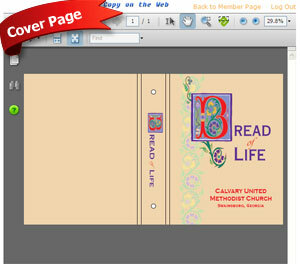 Hard copy proofs are available for an additional charge. See price chart for more information. Please be aware that sending hard copy proofs may delay production by up to two weeks or longer. Proof copy is unbound.